THE VEGAS ROAD SHOW is a Powerful Variety Act delivering First Class Entertainment including music, comedy, and crowd participation. This is the REAL “VEGAS” EXPERIENCE! THE 'OFFICIAL” VEGAS ROAD SHOW! Share a “Slice of Vegas” with them as they take you back with music from the 50s, 60s, 70s, Classic Rock, Country, Smooth Jazz, or whatever the audience requests. The Vegas Road Show never disappoints with their huge songlist and because they are very experienced as both musicians and entertainers they can custom tailor the playlist, the comedy and crowd interaction at THE BLINK OF AN EYE! Because this is a LIVE ACT! No tapes or sequencers of any kind! This is Old School Vegas! 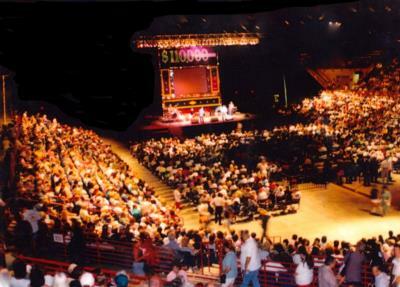 THE VEGAS ROAD SHOW is based in both Las Vegas, NV and Reno, NV. They have Liability Insurance and a vaild Nevada Business License, great sound and light equipment, and reliable transportation. 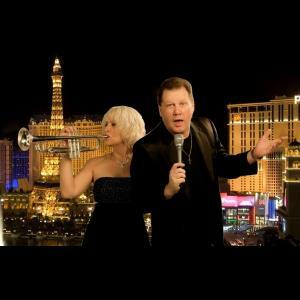 The Vegas Road Show can fit any size venue and come out as a duo, trio, quartet, or any size your budget requires. THE HEART OF THE VEGAS ROAD SHOW are Cody Stevens and his wife, Barbara Christy. They are both veterans in the industry and it shows in every performance. CODY STEVENS, on vocals and guitar, is a 30 year veteran of Las Vegas and has performed with many national acts, such as DANNY AND THE JUNIORS, DEL SHANNON, CHUBBY CHECKER, THE BOX TOPS, THE COASTERS, THE PLATTERS, THE DRIFTERS and CHUCK BERRY just to name a few. He also was a headliner himself and carried on Danny Rapp's (Danny & The Juniors) legacy with THE JUNIORS in Las Vegas, NV. With his quick wit, large musical arsenal, and many years of experience as an Entertainer, Cody can entertain any audience, anywhere. BARBARA CHRISTY, on key bass and trumpet, keyboards, and vocals, is one-of-a-kind when it comes to performance. She has been amazing audiences for over 30 years in casinos from Atlantic City to Las Vegas and recently had the pleasure of working with the Late Great ANDY WILLIAMS in Branson, MO. They put on a fantastic show! I'd happily book them again and their repitua is deep. I'd recommend discussing in detail early with them and they are happy to accommodate special requests. They made our wedding amazing! I was completely empress with how they all came together to make our event a success. I am completely comortable in saying that they helped make our event a success. Thank you. Please note The Vegas Road Show will also travel to Sparks, Sun Valley, Verdi, Floriston, Virginia City, Carson City, Silver City, Incline Village, Kings Beach, Dayton, Crystal Bay, Loyalton, Tahoe Vista, Truckee, Sierraville, Carnelian Bay, Vinton, Chilcoot, Silver Springs, Fernley, Olympic Valley, Wadsworth, Tahoe City, Glenbrook, Nixon, Minden, Genoa, Soda Springs, Norden, Tahoma.